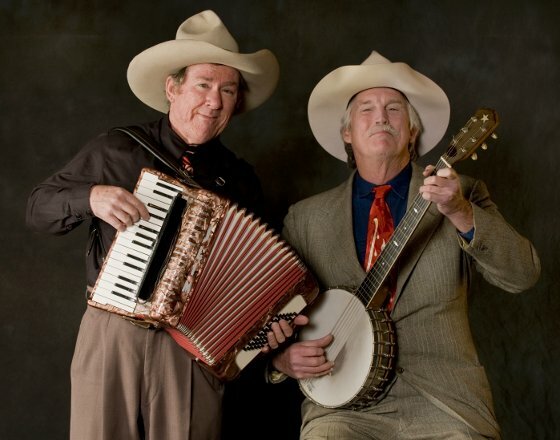 Sourdough Slim & Robert Armstrong have enjoyed sharing their lively roots music with audiences at Carnegie Hall, The Lincoln Center, concert halls, festivals, and fairs around the country. With a repertoire of western classics, country blues, vintage jazz, and string band favorites from the 1920’s and 30’s, they share a passion for America’s rich musical heritage. Sourdough Slim hails from California’s gold country and is the recipient of the Acadamy of Western Artist’s “Yodeler of the Year” and a four time nominee for the Western Music Association’s “Entertainer of the Year.” String instrument virtuoso Robert Armstrong is a founding member of the infamous “Cheap Suit Serenaders” and an in-demand studio musician, and also calls Northern California home. With highly regarded proficiency on a dizzying array of instruments , including accordion, guitar, banjo, ukulele, jug, national steel, musical saw, and harmonica, this dynamic duo dishes up the perfect blend of vintage musicianship and vaudevillian comedy. In performance, these two showmen engage the audience in an authentic Americana experience, delivered with flawless stagecraft, and the result is delightfully entertaining, each and every time. 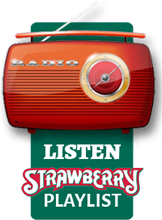 Please join us in welcoming the return of Sourdough Slim & Robert Armstrong to Fall Strawberry, for several highly anticipated appearances, scheduled to take place throughout the weekend.